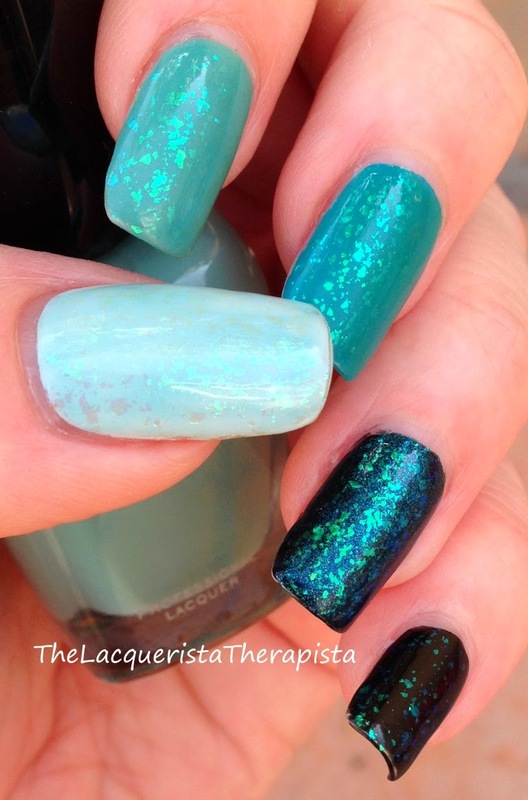 I am a little obsessed with teal right now and decided to try an ombre style mani with a variety of different polishes. I also wanted a good reason to slather Zoya Maisie over all my nails because it's just so pretty. This mani is from a week ago so it's not as pristine as a fresh mani, but I think it held up amazingly well. These are the colors I used. It ranges from Black to teal to mint green. The lighting is lousy and doesn't really show off the true colors. The Julep is a matte black (Julep calls it a latex finish), but I put a top coat on it to make it shiny. BL Bluey is the only shimmery base color I used. Slapper, Wednesday, and Re-Fresh Mint are all cremes. All of the following photos were taken in shaded outdoor lighting. The direct sun photos didn't do the polish any justice. The only pic with my thumb. The others turned out weird and didn't show it off well so I didn't include them. 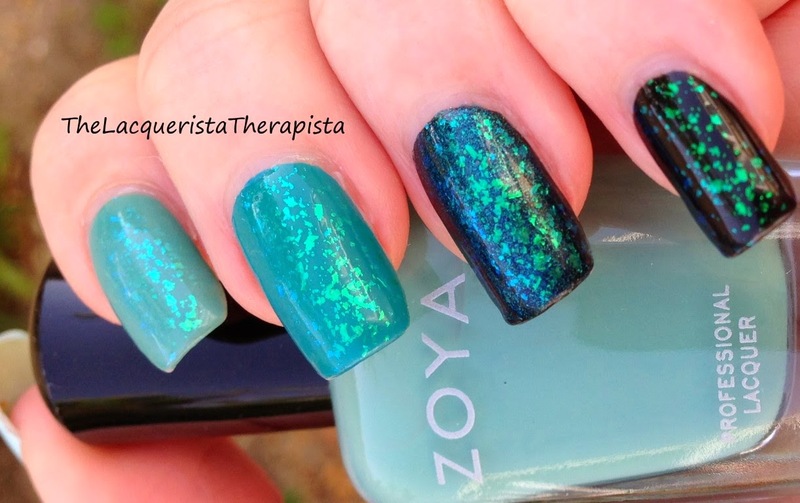 I love Zoya Maisie so much! I love how it looks different, yet similar on each nail. 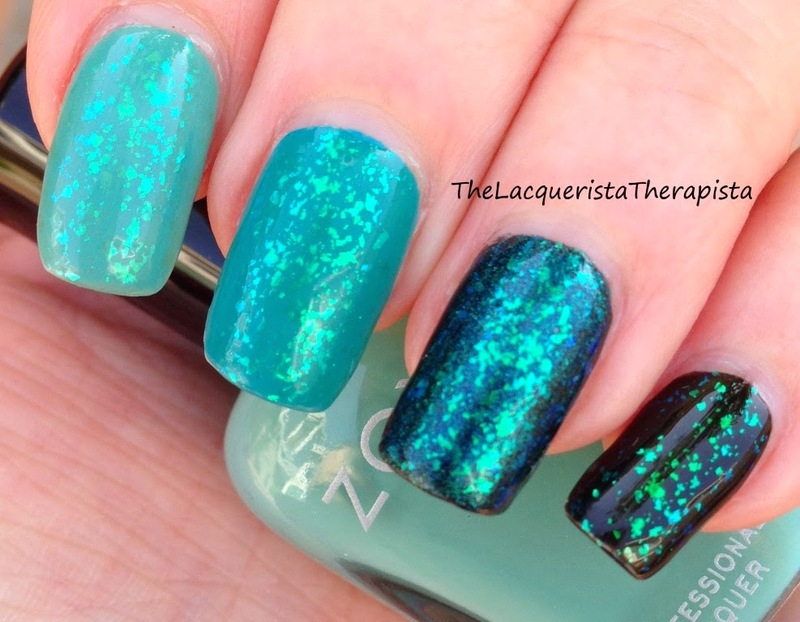 This picture shows off the shimmer of the ring finger nail with BL Bluey as the base. I didn't think I'd like Maisie with a shimmery base, but it looks pretty nifty after all. I used a base coat of OPI Nail Envy and Seche Vite for top coat. In the photo with all the polishes, you might've noticed some numbers on top of the bottles. That's part of my cataloging system (that I'm a tad behind in updating), but I'll do a post about it another time. 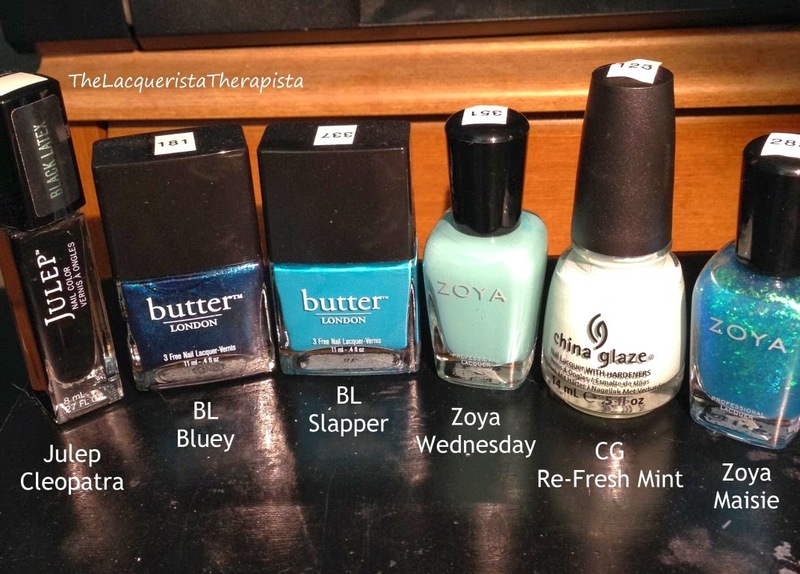 All polishes presented here are from my collection and were not provided for review. All opinions are my own.